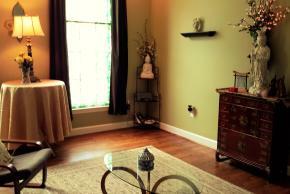 Regain serenity with 60 wonderful minutes of Customized Massage, releasing stress and physical tension. Special Offer is only on Fridays from 9:00 a.m. to 4:00 p.m. Your session includes complementary aromatherapy. Note: Please notice the massage is a combination of Swedish and Body Energy Work, ideal for the natural healing of your body and mind. If you wish to have Deep Tiissue massage only, please add $20 for your session.